Very few studies have evaluated the impact of dietary supplementation on quality of life in retired football players using well-validated outcome measures. In an open-label, six-month human clinical trial of retired professional football players, intake of Mannatech products resulted in statistically significant general improvements in quality of life, satisfaction with health and physical and mental health. * ‡ The 15 retired football players who participated in the study, published in the Global Journal of Health Sciences, took Ambrotose® Complex powder, Omega-3 with Vitamin D3, Ambrotose AO® capsules, PhytoMatrix® caplets and PLUS™ caplets. Authors of the study include Dr. Robert A. Sinnott, Dr. Rolando L. Maddela, Dr. Sejong Bae and Dr. Talitha Best. Dr. Sinnott is the CEO and Chief Science Officer at Mannatech and Dr. Maddela is the Clinical Research Administration Manager at Mannatech. Dr. Bae is currently a Professor in the Division of Preventive Medicine at the University of Alabama at Birmingham and Dr. Best is currently a Lecturer in Psychology at the School of Human Health and Social Sciences at Central Queensland University and an Adjunct Research Fellow in the Division of Health Sciences at the University of South Australia. A study that employed state-of-the-art technology to further explore the prebiotic effects of Ambrotose products has been published in the Antonie van Leeuwekhoek Journal of Microbiology (1). The study was conducted by scientists at ProDigest in collaboration with the Laboratory of Microbial Ecology and Technology (LabMET) at Ghent University, in Belgium. As The Economist magazine’s recent cover story, “Microbes Maketh Man”, made clear, the bacteria that populate the human body—particularly those in the gut—have an enormous impact on our health. LabMET scientists are leaders in the development of tools to better assess human gut bacterial populations.This is the first study to apply 16sRNA genes-based pyrosequencing in a Simulator of the Human Intestinal Microbial Ecosystem (SHIME) study. 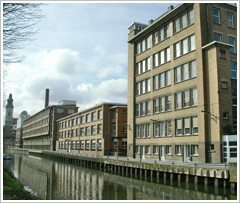 The pyrosequencing technique allowed Belgian scientists to explore more deeply findings from a previous study published by Ghent University scientists, showing that Advanced Ambrotose powder exhibited prebiotic effects along the entire colon (2). Scientists at ProDigest are devoted to investigating the optimal management of microbial resources, with the goal of developing novel products and processes that can improve the environment or human health in the most sustainable way. Marzorati M, Maignien L, Verhelst A et al. Barcoded pyrosequencing analysis of the microbial community in a simulator of the human gastrointestinal tract showed a colon region-specific microbiota modulation for two plant-derived polysaccharide blends. Antonie Van Leeuwenhoek. Published online October 5, 2012. Marzorati M, Verhelst A, Luta G et al. In vitro modulation of the human gastrointestinal microbial community by plant-derived polysaccharide-rich dietary supplements. Int J Food Microbiol 2010;139:168-76. 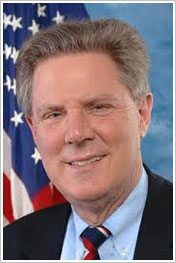 Honoring the 100th anniversary of the vitamin, Rep. Frank Pallone (D-N.J.) recently entered into the U.S. House of Representatives’ Congressional Record remarks recognizing this special milestone. In 1912, Polish-American scientist Casimir Funk first used the term vitamin to describe a group of bioactive substances that are vital to human health. Mannatech has been touting the importance of this milestone for many months, and it was the subject of a report posted on MannatechScience.org. 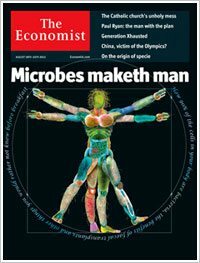 Mannatech applauds the cover story of the August 18th edition of The Economist, which introduces its readers to the human microbiome—the roughly 100 trillion bacteria that populate our bodies, inside and out. According to “Microbes maketh man”, the composition and behavior of bacteria in the gut is critically important for human health. Mannatech has known for quite some time that the gut is fundamentally important for one’s wellness and has been leading innovators in the design and testing of health products that positively influence the human microbiome. So, it’s exciting to see this important area of scientific research get the attention it deserves by one of the most widely read and influential weekly publications in the world. Mannatech‘s interest in the ability of the gut to influence overall health increased in 2005, when the prestigious journal Science devoted much of an issue to “The Gut, Inner Tube of Life.” At that time, Mannatech knew that many people who consumed their glyconutritional supplements (Ambrotose® products) experienced wide-ranging, powerful benefits, some of which were enhanced digestive health. * However, little was known about what happens to dietary glycans in the gut, and how their intake shapes gut bacterial populations, gut health and overall health. Given these scientific gaps, Mannatech’s Research and Development team began to devote significant scientific muscle to get some answers. Mannatech is proud to be a leader in developing innovative dietary supplements that positively impact the gut microbiome based on science derived from an understanding of how glycans impact the gut: a small contribution to the extraordinary advances in microbiome research. The time is now for consumers to get on board with taking care of their guts, because when we take care of our guts, we are taking care of our entire bodies. GI-ProBalance™ slimsticks, a yogurt-flavored pre/probiotic supplement that can positively affect health by improving the survival and growth of beneficial bacteria in the gastrointestinal (GI) tract. Duncan C, Ramberg J, Sinnott R Striking differences in Aloe vera gel carbohydrate composition, molecular weight and particle size distributions following processing will not be addressed by dietary supplement GMPs. Poster Presentation at the Scripps Center for Integrative Medicine’s 5th Annual Natural Supplements Conference, San Diego, California, January 17-20, 2008, 2008. Sinnott, R.A., Ramberg, J., Kirchner, J.M., et al. Utilization of arabinogalactan, aloe vera gel polysaccharides, and a mixed saccharide dietary supplement by human colonic bacteria in vitro . Int J Probiotics Prebiotics 2007; 2(2/3): 97-104. Marzorati, M., Verhelst, A., Luta, G., et al. In vitro modulation of the human gastrointestinal microbial community by plant-derived polysaccharide-rich dietary supplements. Int J Food Microbiol 2010; 139(3): 168-76. Ramberg JE, Nelson ED, Sinnott RA. Immunomodulatory dietary polysaccharides: a systematic review of the literature. Nutr J 2010; 9(54): 1-60. Nelson ED, Ramberg JE, Sinnott RA. Neurologic effects of exogenous saccharides: A review of controlled human, animal, and in vitro studies. Nutr Neurosci 2012; 15(4): 149-62. The 15 retired football players who participated in the study took Mannatech’s Ambrotose® complex powder, Omega–3 with Vitamin D3 capsules, Ambrotose AO® capsules, PhytoMatrix® caplets and PLUS™ caplets. The study was authored by Dr. Robert A. Sinnott, Dr. Rolando L. Maddela, Dr. Sejong Bae and Dr. Talitha Best. Dr. Sinnott is the CEO and Chief Science Officer at Mannatech, and Dr. Maddela is the Clinical Research Administration Manager at Mannatech. Dr. Bae is an Associate Professor in the Department of Biostatistics in the School of Public Health at the University of North Texas Health Science Center in Fort Worth, Texas; Dr. Best is a Research Fellow at the Nutritional Physiology Research Centre, Sansom Institute for Health Research, University of South Australia, Adelaide, South Australia. The International Society of Sports Nutrition Conference brings together scientists, physicians and athletes interested in sharing the latest science for evaluating nutritional and behavioral approaches to optimizing human health and performance. More information about the meeting can be found at the following website: https://www.sportsnutritionsociety.org/CONBrochures/issn9thannualco.pdf. A PDF of the poster can be found on the Publications page, Multiple Products section of this web site. Mannatech Presents Glyconutrient Science at the 10th Jenner Glycobiology and Medicine Symposium. Mechanisms That Might Contribute to the Cognitive Benefits of Mannatech’s Ambrotose® Polysaccharides Are Presented. The study was authored by Dr. Erika N. Nelson, Jane Ramberg and Dr. Robert Sinnott. Dr. Nelson earned her BS in Genetics from the University of Kansas in Lawrence and went on to obtain her PhD in Neuroscience at the University of Texas Southwestern Medical Center in Dallas. She has published a number of papers on neurodevelopmental disorders and brain epigenetics. A candidate for a Masters of Business Administration at the University of Texas at Dallas, Dr. Nelson is also a consultant for Mannatech. 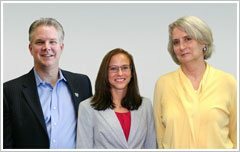 Dr. Sinnott is CEO and CSO at Mannatech and Jane Ramberg is Director of Product Substantiation at Mannatech. The 10th Jenner Glycobiology and Medicine Symposium brings together scientists from around the world, including many thought leaders in the field of glycobiology. The United Kingdom’s Royal Society of Medicine has been hosting these meetings—devoted to providing a forum for scientists and clinicians to disseminate the findings of current leading edge research in both novel and classic fields of glycobiology—for over 20 years. More information about the meeting can be found here: http://www.rsm.ac.uk/jenner10/. Review of the Effects of Polysaccharides on Brain Function is Published. Mechanisms That Might Explain the Cognitive Benefits of Glyconutrients and Other Polysaccharides are Explored. While there is growing interest in the effect of oral polysaccharide on health, studies assessing their effect on neurologic function have never been consolidated. Now, a comprehensive literature review has been published that brings together this interesting literature. Dr. Erika Nelson, a neuroscientist, and her colleagues limited their review to controlled studies assessing various roles of exogenous saccharide compounds and polysaccharide-rich extracts on brain function, with a significant focus on benefits derived from oral intake. Six randomized, double-blind, placebo-controlled clinical trials were found that indicate that certain oral polysaccharides positively impact well-being, cognitive function and mood in healthy adults. The most promising human clinical research in this area has been conducted on Ambrotose® complex. * Numerous preclinical studies were also identified that indicate that polysaccharides can modify behavior, enhance synaptic plasticity and provide neuroprotective effects. Dr. Nelson earned her BS in Genetics from the University of Kansas in Lawrence and went on to obtain her PhD in Neuroscience at the University of Texas Southwestern Medical Center in Dallas. She has published a number of papers on neurodevelopmental disorders and brain epigenetics. A candidate for a Masters of Business Administration at the University of Texas at Dallas, Dr. Nelson is also a consultant for Mannatech, Incorporated. Co-authors include Dr. Robert A. Sinnott, CEO and CSO at Mannatech; Dr. Talitha Best, a scientist with dual appointments at the University of South Australia, Adelaide, and Swinburne University of Technology, Victoria, Australia; and Jane Ramberg, Director of Product Substantiation at Mannatech. Dr. Rolando L. Maddela, Mannatech’s Clinical Research Administration Manager, recently attended a Clinical Project/Program Management training, held in San Francisco on October 27-28, 2011. The training was sponsored by the Society of Clinical Research Associates (SoCRA), which provides internationally recognized certification programs that promote quality clinical research to protect the welfare of research participants and improve global health. The goal of this training was to foster successful clinical trials by broadening participants’ knowledge of their regulatory framework, project management art and science, planning and accounting. 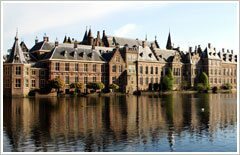 Attendees included an international group of investigators, project managers, monitors, and site coordinators from academia, governmental agencies, contract research organizations and other private entities. Faculty included experts from the University of Pennsylvania, Thomas Jefferson University, the University of California, San Francisco’s Immune Tolerance Network, Connecticut Children’s Medical Center, the Cleveland Clinic Foundation, and Volcano Corporation. Mannatech has long been committed to confirming the quality and efficacy of its products through ethical, high quality research collaborations with top notch scientists around the world. 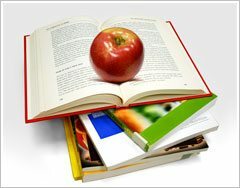 Publications of clinical trials related Mannatech products can be found on the Publications page of http://mannatechscience.org/. Dr. Maddela is a Certified Clinical Research Professional (CCRP). SoCRA awards the CCRP designation to health professionals who have demonstrated an internationally accepted level of knowledge, education, and experience in clinical research. 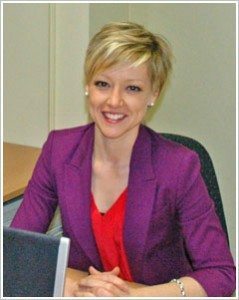 The Australian government has granted Dr. Talitha Best a 12-month Researchers in Business (RiB) grant to help develop research on Mannatech’s glyconutritional products. The RiB program is part of Enterprise Connect, an initiative within the Australian government’s Department of Innovation, Industry, Science and Research. The program is designed to accelerate industry innovation and competitiveness by connecting university and public agency researchers with businesses that wish to develop new ideas with commercial potential. RiB initiatives are destined to play an important role in enhancing the transfer of university intellectual capital into practical business applications and to stimulate the dissemination of industry knowledge back into the research community. Exciting innovation is expected to flow from breaking down the cultural divide between academia and business. For more than six years, Dr. Best, a post-doctoral research fellow at the Nutritional Physiology Research Centre, the University of South Australia (UniSA), and the Brain Sciences Institute, Swinburne University of Technology, has been investigating the impact of dietary saccharides on human brain function. Based at UniSA, she has presented her findings at numerous scientific conferences and has shown, in two randomized, double-blind, placebo-controlled human clinical trials, that intake of Mannatech’s saccharide supplement, Ambrotose® complex, can provide both immediate and long-term improvements in memory, cognition and well-being (1)†,(2)‡*. † Mannatech provided the Ambrotose supplement and placebo used in this study. ‡ Mannatech provided partial funding and provided the Ambrotose supplement and placebo used in this study. 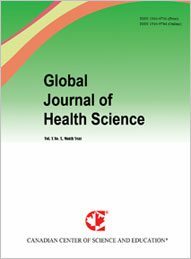 Best T, Kemps E, Bryan J. Saccharide effects on cognition and well-being in middle-aged adults: A randomized controlled trial. Dev Neuropsych 2010;35:66-80. Best T, Howe P, Bryan J, Buckley J, Scholey A. Plant polysaccharides, memory and cognition in middle-aged adults. Presented at the 38th Australasian Experimental Psychology Conference in Auckland, New Zealand, April 28-30, 2011.